Joint statement from the Academy of Medical Sciences, the Institute of Physics, The Royal Society, The Royal Society of Chemistry and the Society of Biology. On Monday 25 February, representatives from government, funders, libraries, university administrators, learned societies, publishers and researchers came together at a conference, sponsored by five of the leading British learned societies, to discuss the challenges of implementing UK Government policy on open access (OA) publication and the policies of research funders that have followed it. In 2011 the Government established a Working Group, chaired by Dame Janet Finch, to examine how to expand access to published research findings. In July 2012 the Government accepted the recommendations of the ‘Finch’ report, and set a clear policy direction for a shift in publication of publicly-funded research from a “reader pays” to an “author pays” model (also known as “gold” OA). Following this, the Research Councils UK (RCUK) have produced a revised policy on OA, to take effect from 1 April 2013, which sets out a preference for gold OA wherever possible, and are currently seeking views on their guidance to support this policy. The Higher Education Funding Council for England (HEFCE) is currently consulting on their draft policy in relation to the post-2014 Research Excellence Framework and so policy in relation to OA is not yet set. At the meeting, Dr Tony Peatfield, Director of Corporate Affairs for the Medical Research Council, speaking on behalf of RCUK, noted their recognition of the challenges of implementing these policies, and that they would be flexible in the early stages, stating: “We see this very much as a journey, not an event.” Dr David Sweeney, Director of Research, Innovation and Skills for HEFCE called for an end to the “friendly fire” that has often characterised the OA debate. The UK is the first country in the world to set a clear preference for gold OA as a publishing model for publicly funded outputs. The reason for this decision was outlined at the meeting by the Minister of State for Universities and Science, Rt Hon David Willetts MP, with this route preferred because it “unambiguously achieves the objective of open access to taxpayer-financed research when it is published… and it honestly recognises that there are some costs to publishing.” By contrast, the Minister highlighted that a wholesale shift to “green” OA, which appears to be the approach of the European Union, could be defective because it would not provide a financially sustainable business model to meet the legitimate costs of publishing, such as administering the peer review process. However, as the chair of the meeting, Dame Janet Finch, highlighted, although the stakeholders present were willing to make OA work, it was evident that there were a variety of views on the best way to achieve this. Michael Jubb, Director of the Research Information Network, emphasised that the transition to OA should be “accelerated in an ordered way” to limit the risk of adverse consequences to the delicate ecosystem of scientific publishing. He stressed that the publication ecosystem has different economies operating in respect of finance and of recognition and reward for academic achievement, which both require attention. It was clear that significant issues remain in regard to the transition, and that policy implementation will be challenging for all stakeholders. All stakeholders need to work together constructively to move away from the polemical to the practical. There was strong agreement across stakeholders that although change is in motion, it is important to recognise that the exact future landscape is impossible to predict and that we must focus efforts on achieving sustainable solutions to the challenges ahead. Clarity regarding the policies of research funders is essential. A clear understanding of what policies require in terms of permitting the reuse of published information, and acceptable embargo periods, is crucial to enable all stakeholders to implement these policies effectively and sustainably. We welcome Government’s and RCUK’s efforts to achieve this through endorsing the “decision tree” (see diagram at www.parliament.co.uk ), as the preferred guide for authors to ensure compliance with Government and RCUK policy. We also welcome the announcement by RCUK that they will make available to researchers a list of journals that comply with their policy. The needs and concerns of researchers must be addressed. Institutional stakeholders are nearing readiness to implement OA policies. However, many of those who will be most directly affected – the researchers themselves – are unaware of funders’ requirements, or are concerned about the policy’s implications for where they can publish, how frequently they can publish, the affordability of publication, and whether their intellectual property rights will be affected. Implementing OA policies will require a substantial shift in community attitudes and behaviour in some disciplines, and all stakeholders need to increase their efforts to communicate more effectively with researchers. 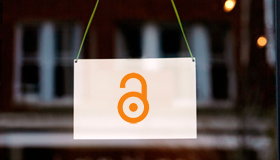 Higher Education Institutions have a key role to play in facilitating the shift to OA by simplifying processes for researchers, and communicating the benefits of open access more effectively. Recognising the important role that learned societies have to play in facilitating the further development and implementation of OA among the UK’s scientific research communities, the five learned societies that organised and sponsored the event will work to build awareness of, and support for, OA amongst our members, and for those of us who have a publishing arm, our authors.